On 2 September 1945, after a series of earlier demonstrations, Vietnamese seized power in Saigon under the leadership of the Southern Provisional Administrative Committee. While this event is usually celebrated as a ‘revolution’ of a unified people, the reality is more complicated. Saigon soon devolved into chaos for three reasons: Vietnamese political rivalries, the actions of rogue gangs, and the effects of British and French intervention. Much of the chaos ended in early October 1945, when most Vietnamese evacuated the core of Saigon, but the legacy of these divisions profoundly affected the First Indochina War that followed. 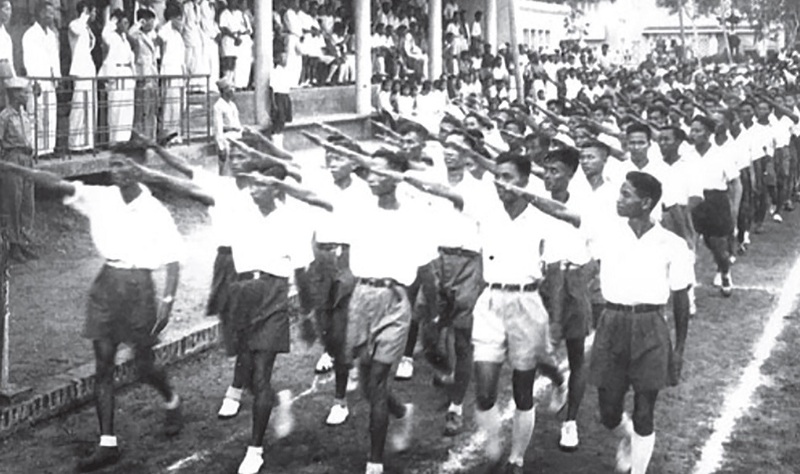 In the lead up to the August uprisings, the Indochinese Communist Party and the Vanguard Youth tried to organize a Southern Provisional Administrative Committee to bring on board selected groups and to seize power. Unlike in the north, however, the communists lacked the influence or power to coerce their rivals and control Saigon and its sister city of Cholon. Far from being ideologically cohesive and disciplined, the movement relied on loosely linked and poorly trained volunteer groups and militias, some of them rivals, that often acted on their own. This was a potential recipe for disaster. When British troops arrived as an Allied occupation force in mid-September, the situation began to unravel further. The central market and the port went up in flames. 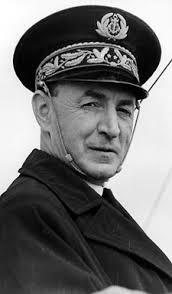 General Gracey, head of the British occupation forces, armed the woefully undisciplined French soldiers who had been interned as prisoners of war. Angry about earlier violence against French, they went on rampages on 23 September, attacking Vietnamese, burning down houses, and generally terrorizing the population. Realizing his mistake, Gracey reined them in, but the damage was done. On the night of 24–25 September, a Vietnamese group (whose identity has never been definitively established) retaliated, methodically carrying out the massacre at the cité Hérault, a mixed quarter in Saigon. Many of the European and Eurasian civilians seized, including women and children but especially the Eurasian métis, were mutilated, tortured, beaten, raped and killed. While a Vietnamese witness, Phạm Duy, estimated 200 dead and another 100 abducted, the probability is that fewer than 100 French and Eurasians were killed that night in Saigon. British and French forces, aided by Japanese, clamped down hard. By early October, the core of Saigon was a ghost town. Almost all the Vietnamese, under orders from the Southern Provisional Administrative Committee, had fled to rural areas. But the divisions that marked events in Saigon were simply exported to rural areas, and shaped the war that would follow.